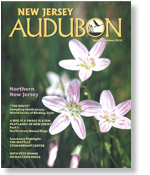 New Jersey Audubon Society members are in good company. We're over 18,000 strong! By renewing your membership, you'll have the satisfaction of knowing that you're a part of a team helping to preserve wildlife and at-risk, natural habitats. Please consider upgrading your membership to a higher level. Thanks for renewing your Membership! KINGLET membership: All of the basic membership benefits plus one Ticket to Discovery (for a free program at any of our nature centers - up to $20 value). GOLDFINCH membership: All of the basic membership benefits plus invitations to two major donor field trips guided by New Jersey Audubon Society's leading naturalists, and a listing in our annual honor roll. GOLDEN EAGLE membership: All of the basic membership benefits plus invitations to two major donor field trips and one Exceptional Excursion, and a listing in our annual honor roll. ROYAL TERN membership: All of the basic membership benefits plus invitations to two major donor field trips and two Exceptional Excursion, and a listing in our annual honor roll. LIFE membership: A one-time membership fee which entitles you to all of the basic AND patron membership benefits. You'll also get a Life Member certificate, life member pin, and a listing in our annual report. LIFE COUPLE membership: A one-time membership fee which entitles two people to all of the basic AND patron membership benefits. You'll also get a Life Member certificate, life member pins, and a listing in our annual report.